India has announced its world cup squad that will travel to England. In this squad, there were only 3 genuine pace bowlers in Bhuvneshwar Kumar, Jasprit Bumrah and Mohammed Shami. There were concerns amongst certain cricket pundits about this combination. 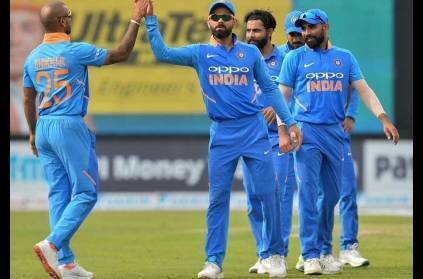 Now it is said that Deepak Chahar, Navdeep Saini, Khaleel Ahmed, and Avesh Khan will join the squad in UK as net bowlers to help the Indian team prepare for the world cup. This really is a good move from the BCCI considering the conditions they will be playing at and hence the practice they require. Khaleel Ahmed provides a left arm angle at pace which India will have to face when they play other nations like Australia. Navdeep Saini and Avesh Khan provide practice against Raw Pace and Deepak Chahar can provide good seam and swing bowling practice that will be useful in England conditions. Another advantage is that in case one of the bowlers gets injured, they can get a quick replacement from these options. This page contains news relating to various facts and events. The views are generally about current affiars and general topics in diversified areas such as political, international, national, and regional issues, sports, health, travel, lifestyle, technology and business. People having similar interets on the above topics will find this page useful. Khaleel, Saini, Chahar, Avesh added as net bowlers for worldcup | Sports News.